15 Heartfelt Messages to Print on Holiday-Themed Ribbons - ThirtySevenWest ThirtySevenWest - Creative ideas about personalized custom ribbons, woven tags and labels, personalized gifts and more!!! For businesses, the holidays is that opportunity to end the year by strengthening corporate relationships with gifts—and something personalized with sincere messages to tie them up. When sending out corporate gifts, you want the wrapping to be a personalized as possible, to make all the more heartfelt for the recipients. Tying that festive-looking knot with a personalized ribbon may seem like a simple gesture on a corporate gift, but there is no such thing as making your gift too unique for your customers and clients. Any company can purchase plain old ribbons for corporate holiday gifts, but only the most promotional-savvy will make the packaging genuinely cheerful before the recipient even sees what’s inside. Simply expressing gratitude, because that is what the holiday season is about right? Though this message can be used on a personalized ribbon during any season, the message becomes all the more meaningful on a holiday-themed ribbon tying up a holiday present. Remember to let your customers know that you hold their loyalty in high regard as you deliver a cheery greeting for the holidays. A tad more personal than a simple “Happy Holidays!”, this message reminds your clients and customers that your organization cares for their happiness this holiday season. Not every message has to be completely formal. 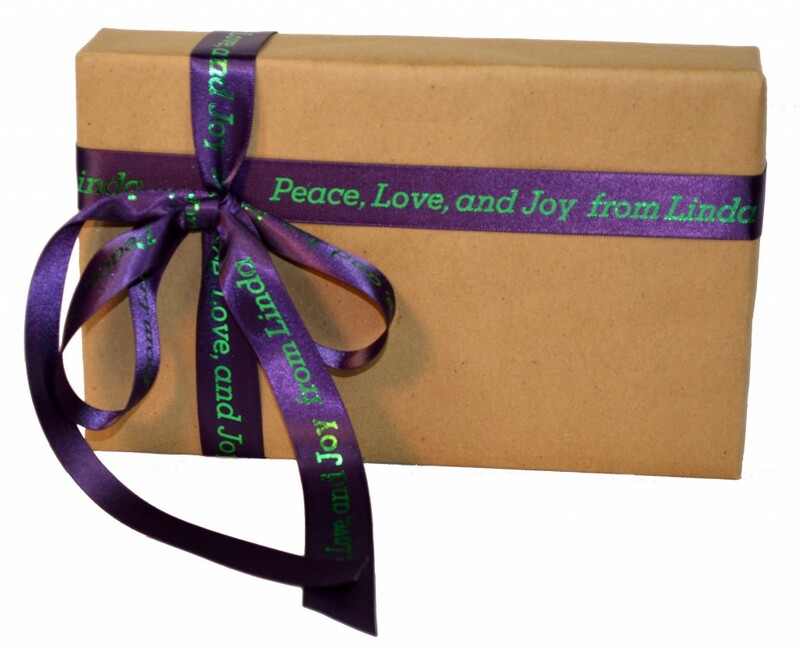 Small businesses often send out cards and gifts with ribbons printed with simple and casual messages. Why not appreciate the cool season? 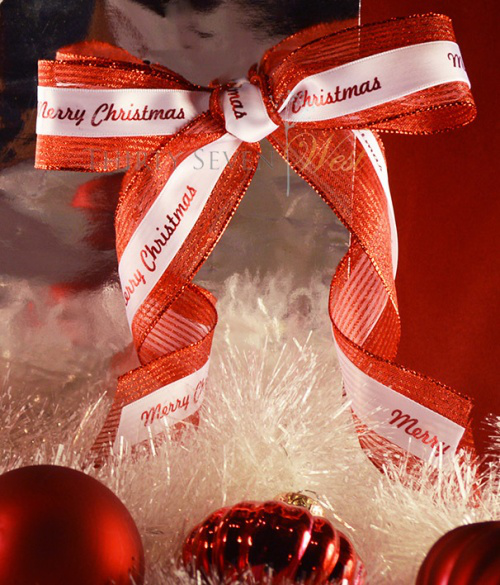 If you are gifting company-logo-decked apparel to your employees, then this message will be perfect for the ribbon. If you are sending out holiday gifts to your shareholders, this can make for a heartfelt message, relaying your thanks for their association. Clear and simple, this message relays warm regards and an acknowledgment of the joy of providing service to your customers. Remember, a corporate gift is a tad more personalized than a casual gift, and you need to emphasize the care for your clients and customers in your messages. Wrap up another year of successful meetings, professional calls, and collaborations with this short, sweet, rhyming message! Encompassing merriment and appreciation, this message is a great one to be printed on holiday-themed ribbons, and sent out to your clients. How about a message the delivers some luck for the coming year? Wishing your clients and customers with a message that mentions the future is a simple yet strong way to build foundations for upcoming ventures. Paired with a festive colored and styled ribbon, this message will make opening the gift a treat for anyone. No extensive explanations needed—look forward to the future. As you head into the New Years, you are taking your clients and customers with you. It is simple and friendly. Once again, you can add a personal touch to your personalized ribbons by adding a letter-ending style. It can be stressful to come up with creative messages, but sometimes, the charm is in simplicity. Another way to add a personal touch of mentioning your company’s name is to add simple greetings for the holidays. Make sure to mention which holiday you are sending this gift for. Remember, you can make your ribbon-based décor and gift wrappings more beautiful by layering multiple ribbons consisting of different holiday wishes! Need more ideas for ways to print on ribbon? As experts in creating personalized ribbons for corporations, we can help you a deliver meaning gesture that is a holiday-themed ribbon! 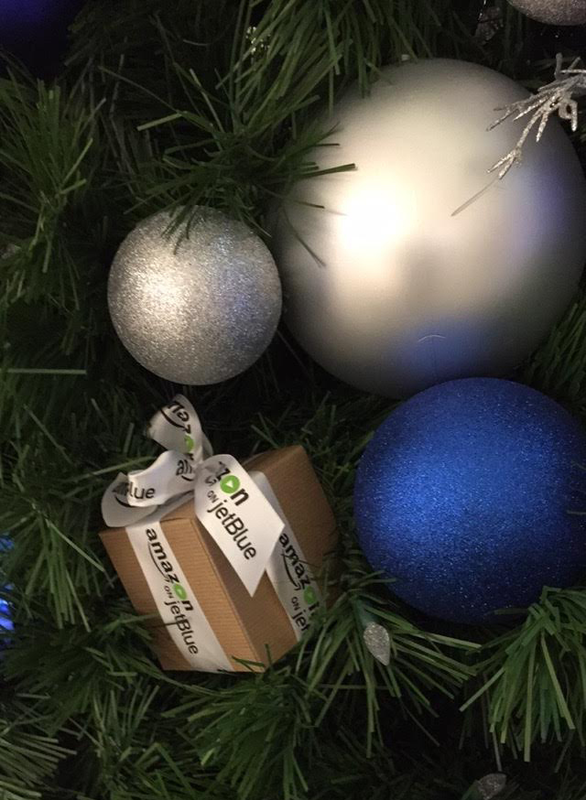 Reach out to us today at 1-877-627-9408 and choose that perfect ribbon! This entry was posted on Wednesday, December 6th, 2017 at 8:54 am by Brandon	and is filed under Custom Ribbon, Personalized Ribbon. You can follow any responses to this entry through the RSS 2.0 feed. Both comments and pings are currently closed.